Kentucky has long been famous for its quilts, pottery, woodcarvings, dulcimers, hand-woven blankets and other handcrafted products. Whether you just want to admire the works of traditional and contemporary Kentucky artists and artisans, or are looking for a unique souvenir of your visit, you&apos;ll find an unforgettable collection of creative expressions at galleries, shops, studios and museums in Lexington and nearby communities. 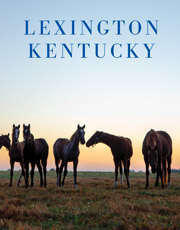 Your “craft tour of the Bluegrass” begins in Lexington at two unique stores. Artique, at Lexington Green off Nicholasville Road (859-272-8802) has everything from fine jewelry to birdhouses. Everything is American made. Downtown, Rachel Savane produces wearable art from silver and gemstones. Her signature line features the colorful and varied Kentucky Agate, the official state rock (Savane Silver, 130 North Broadway; 859-455-8111). If you&apos;re interested in a handmade quilt (or in learning to make one), stop by Quilter&apos;s Square (140 Moore Drive, off Nicholasville Road; 859-278-5010). In addition to selling quiltmaking and smocking supplies, owner Mary Charles sells quilts on consignment. The new W.T. Young Library on the University of Kentucky campus maintains a collection of quilts on the top floor. (859) 257-0500. Georgetown is home to Heirloom & Gretchen&apos;s (136 W. Main Street, Georgetown; 502-863-2538). Owner Gretchen Soards sells stained glass panels and sun catchers and does custom lamp shades. In the same building you&apos;ll find miniatures, lamps, antiques and collectibles. Bluegrass Note: If you&apos;re interested in the visual arts in general, check out some of Lexington&apos;s many art galleries. Stop by ArtsPlace (161 North Mill Street; 859-255-2951) for a free gallery guide. 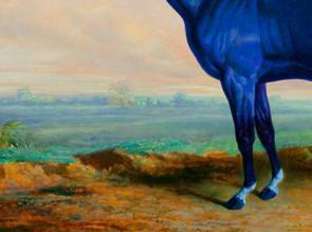 The Lexington Arts and Cultural Council sponsors "Gallery Hops" throughout the year. One of the finest collections of folk art in the United States is found in Morehead, about an hour&apos;s drive from Lexington via I-64. The Kentucky Folk Art Center (102 West First Street; 606-783-2204) has a permanent collection of more than 1,000 works by nationally known Kentucky folk artists as well as up-and-coming artists from across the state. Here you&apos;ll see an amazing variety of works- walking sticks; paintings; woodcarvings of animals, historical figures and regular folks; painted furniture and other objects; and other fascinating and thought-provoking creations by Kentucky&apos;s unschooled artists. The Folk Art Center began as a 1985 classroom exhibit in the Department of Art at Morehead State University. Today, it&apos;s a nonprofit organization affiliated with MSU and dedicated to building awareness and appreciation of Kentucky folk art. In addition to its permanent collection displayed in the Richardson gallery, the museum also hosts three annual folk art exhibits in the Adkins gallery, and includes a museum store where you can purchase original art, books and jewelry. The 50 seat Ruth Auditorium is the site of frequent lectures and performances. The Folk Art Center also coordinates an art and craft markets in December. Bluegrass Note: Festivals and special exhibits are excellent opportunities to see the works of Lexington-area craftspeople. The Lexington Art League sponsors arts and crafts displays at Mayfest, Mother&apos;s Day weekend in Gratz Park; downtown during the annual Fourth of July festivities; at the Woodland Arts Fair, the third weekend in August in Woodland Park near downtown; and at its Holiday Art Fair, the Friday and Saturday following Thanksgiving at Loudoun House, 209 Castlewood Drive. The Kentucky Heritage Quilt Society Annual Exhibition is held each Spring at the Kentucky Horse Park. Contact VisitLEX for specific dates of these special events. Shaker Village of Pleasant Hill (859-734-5411 or 800-734-5611), about a 45-minute drive from Lexington via US 68, is a wonderful place to learn about the legacy of Shaker craftspeople. As you tour the more than 30 buildings (this is the largest restored Shaker community in America), you&apos;ll see examples of their exemplary furniture making, weaving, candlemaking, broommaking and more. The village gift shops sell a wide range of Kentucky-made items in the Shaker style, including rugs, pottery, candles and furniture. One of the top crafts festivals in the state is held at Shaker Village each August. Elite artists and craftspeople from the region offer exceptional pottery, jewelry, glassware, woven rugs, needle craft, basketry, leather goods and Shaker reproductions. Entry to the Craft Fair is included with the village admission ticket. While you&apos;re in the area, give Cynthia Carr a call (859-366-4439). If she&apos;s in, you&apos;ll want to stop by Crosswinds Pottery, 340 Henry Robinson Road. She throws traditional stoneware pottery, enhanced with rich reduction glazes. Utilitarian and beautiful, her work is also on sale at the Kentucky Artisan Center. Bluegrass Note: Kentucky has about 3,000 resident full-time and part-time craftspeople. The Kentucky Craft Marketing Program, a state agency, provides business assistance and advice to craftspeople. Juried crafts producers whose works are accepted into the Program carry the "Kentucky Crafted" label. Each winter, the council sponsors a market in Lexington that attracts top wholesale buyers from across the United States. The show is also open to the public, and a must-see for lovers of high quality crafts. For more information call (502) 564-3757. About 40 miles south of Lexington via I-75 is Berea, the official "Crafts Capital" of the state. Berea&apos;s long-time tradition as a center of craftsmanship earned it this designation by the Kentucky State Legislature. At the heart of Berea and its crafts tradition is Berea College, where students do not pay tuition, but work ten to 15 hours per week in one of the college&apos;s industries. As part of the Berea College Crafts program, students create fine furniture, woven items, ceramics, brooms and wrought iron pieces. They are sold at the Berea College Log House Craft Gallery, 200 Estill Street (859-985-3226). Berea College ranks as one of the leading liberal arts colleges in the nation and plays an important role in the preservation of mountain crafts. Berea also is home to dozens of other craft studios and galleries. One you&apos;ll want to be sure to visit is Warren A. May&apos;s Woodworking Shop (110 Center Street; 859-986-9293). May&apos;s graceful dulcimers (Kentucky&apos;s official state instrument) are so beautiful that many people buy them not as musical instruments, but as artwork to hang on the wall. He also crafts fine Kentucky style furniture. Because of Berea&apos;s long history as a center for fine handcraft and folk art, the Kentucky legislature designated funds to build a state artisan center. Just off I-75 at Exit 77 you&apos;ll find the Kentucky Artisan Center (859-985-5448). Handcrafted items and folk art abound at this beautiful facility. There&apos;s also a cafe. Open seven days a week. Ken Gastineau has been working with jewelry and metals for more than 25 years. At the Ken Gastineau Studio (135 North Broadway, 859-986-9158) you might notice the influences of time spent living in the American West, even though most of his designs are rooted in Kentucky traditions. If you are lucky, you might get to witness the creation of that signature Kentucky item, the julep cup. After visiting the shops in town, head out into the surrounding countryside and visit Tater Knob Pottery and Farm (260 Wolf Gap Road, Berea; 859-986-2167). This is the home and workshop of Sarah Culbreth and Jeff Enge. This husband-and-wife team specializes in utilitarian items and custom-designed dinnerware, offering what is probably the most folksy bridal registry in Kentucky. You can watch them at work, learn about clay and glazes, and buy ready-made pieces such as a spoonbread maker (which comes with a recipe for this regional cornbread dish). Call ahead if you&apos;re bringing a group or want to see the entire potterymaking process. They&apos;re open Monday through Saturday, 9 to 5. The farm is about 10 miles east of Berea. For a complete list and detailed map of Berea shops, studios and galleries, stop at the Berea Welcome Center on North Broadway. Bluegrass Note: Berea hosts several major crafts fairs each year at Indian Fort Theater, a rustic outdoor setting a few miles east of town on KY 21. Members of the Kentucky Guild of Artists and Craftsmen display their works the third weekend in May, and the second weekend in October. The Berea Craft Festival in mid-July features exquisite juried works by over 100 craftspeople from 20 states. Music and food contribute to the festive atmosphere. Call the Berea Visitor Information Center at 800-598-5263 for more information about the fairs or Berea craft shops. Handmade Kentucky crafts also are found in the state capital of Frankfort, west of Lexington via I-64. One of the best selections of handmade Kentucky items in the state is at Completely Kentucky (237 West Broadway, Frankfort; 502-223-5240). As the name implies, everything in the shop is Kentucky-made, with the works of more than 650 craftspeople represented. You&apos;ll find an excellent selection of pottery, jewelry, baskets, weavings, candles, toys and wood items. There are some truly unusual products including whimsical metal art creatures. The shop also carries Kentucky food products. At the State Capitol Building, you can see a truly monumental Kentucky handicraft. The Kentucky Homemakers Tapestry is a huge, 14-foot by 21-foot, handstitched needlepoint work with a square representing each of Kentucky&apos;s 120 counties. Begun by the Kentucky Extension Homemakers Association in 1977, the tapestry took three years to design and assemble, involving 632 Kentucky Homemakers and more than 25,000 hours of labor! The tapestry hangs in the foyer of the Capitol Rotunda. When you visit Broadway Clay, you’ll discover a charming pottery shop with a gallery of locally made items. You can schedule a private lesson and learn how to “throw.” Your creation can be fired and glazed by Broadway Clay staff and will be available in three weeks (223 West Broadway; 502-320-7250). Thanks to the Buffalo Gals Homemakers of Stamping Ground, many Scott County barns proudly display colorful quilt squares. Wooden eight foot and four foot squares have been lovingly constructed, painted and hung by a small cadre of dedicated volunteers. More than 100 quilts now make up the Buffalo Gals Barn Quilt Trail. Travel highway 460 west out of Georgetown and turn right onto US 227 toward Stamping Ground to see the greatest concentration of decorated barns. Once in Stamping Ground, you&apos;ll find more barn quilts along Sebree, Duvall Station, Locust Fork, Owenton, Minor&apos;s Branch, and Woodlake roads. Call (502) 863-2547 for more information. Bluegrass Note: Maybe you can help solve this Kentucky craft mystery. In 1933, Sears, Roebuck & Co. ran a national quilt contest to promote the Chicago World&apos;s Fair. The grand prize winner was Margaret Rogers Caden of Lexington, one of 25,000 entrants. Today, however, the location of her winning entry, "The Unknown Star," later nationally known as the "Star of the Bluegrass," is literally unknown. When the fair closed in 1933, the quilt went to First Lady Eleanor Roosevelt, and was said at one time to be in the White House. 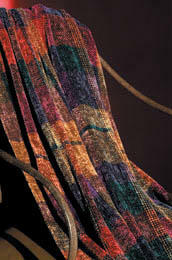 A similar quilt was found in the Louisville attic of Caden&apos;s descendants, but the original could not be located by Merikay Waldvogel and Barbara Brackman, who wrote a book about the 1933 quilt contest. Anyone with information is asked to write Waldvogel at 1501 Whitower Road, Knoxville, TN. 37919.